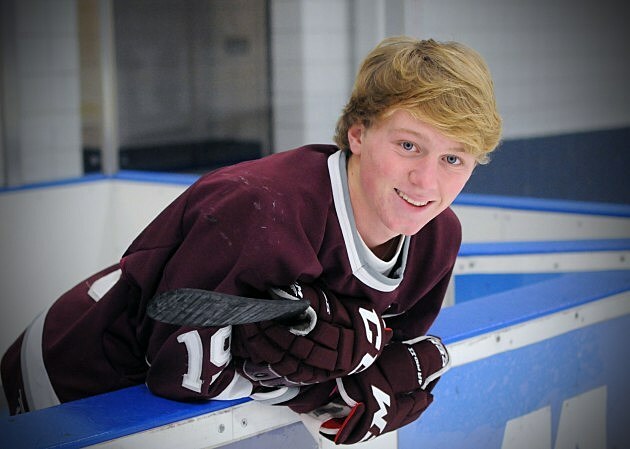 Mitchell Parsons, who captains eighth-ranked Grandville High School’s hockey team, is this week’s Meijer-97.9 WGRD High School Athlete of the Week. A senior center for the 15-3-2 Bulldogs, Parsons has 10 goals and 26 assists this season. 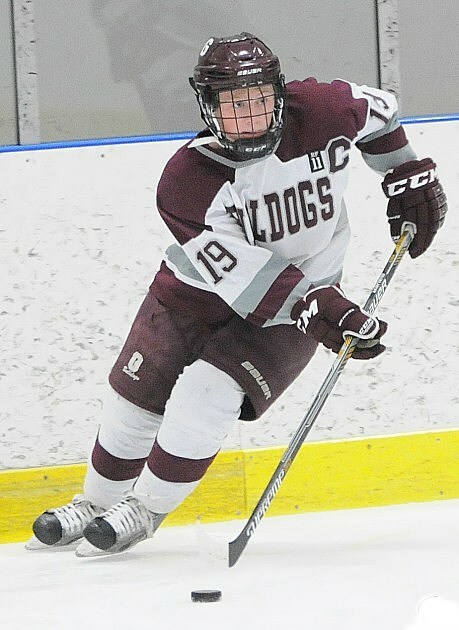 An all-state hockey nominee, he is a primary cog for the Bulldogs and is a regular on their power-play and penalty-killing units, said Joel Breazeale, who coaches the Grandville squad — a co-op with Byron Center and Calvin Christian high schools. Parsons is a three-sport letter winner at Grandville, having also captained the boys’ lacrosse team the past two years and being a four-year member of the boys’ cross-country squad. By the time he graduates, he will have earned 10 varsity letters at Grandville and will have been named first team and/or honorable mention all-conference in lacrosse and hockey for the past three years, Breazeale points out. In the classroom, he carries a 3.0 grade-point average on a 4.0 scale at Grandville High, where he is a part of the student leadership team. He is the son of Tory Parsons, a guidance counselor at Lowell High School, and Brian Parsons, Grandville High’s athletic director. Even though Parsons played in the inaugural Ryan Fischer Legacy Classic on Saturday at Van Andel Arena — a 4-1 Detroit Catholic Central win over Grandville, he still managed to help out elsewhere over the weekend. He volunteered with the Grand Rapids Griffins’ Great Skate at Rosa Parks Circle. His other community service includes volunteering the past two summers with Camp Sunshine, a developmental disabilities program in Holland, and the Michigan Victory Games, an annual sports competition for developmentally disabled athletes. In addition, he also volunteers with hockey and lacrosse camps and local Punt, Pass & Kick competitions. Congrats Mitchell from Meijer and WGRD as well as Channel 95.7, 100.5 The River, 98.7 WFGR and 1410 AM The Touch.